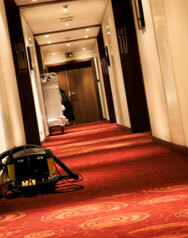 We carry out carpet cleaning from large offices and landlords to individual domestic customers clients alike. Within commercial environments, such as offices and receptions, hotel lobbies and rooms, it is important to keep a clean and properly maintained appearance, as this reflects upon the establishment. 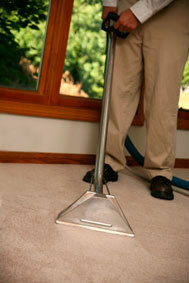 At home, your carpets harbour dirt, dust, dust mites and bacteria. In order to keep carpets up to scratch, deep cleaning and stain prevention treatments help to keep a home environment clean and can breathe new life into an old carpet. Our fully insured, professional staff are fully trained in the techniques and any chemicals used for carpet cleaning. You can trust us in your home or office, because all of our staff are CRB checked before being employed and have often been with us for many years. Besides regular machine cleaning and deep extraction cleaning of carpets, we undertake specialist stain removal and damage repair services, including chemical treatment for chewing gum and other ingrained blemishes. We can apply specialised treatment to carpets, such as anti-static, as we regularly do for the Stansted Control Tower at Stansted Airport. We also apply stain-guard so that carpets can be protected once cleaned. Contact us for an individual quotation, with no obligation on your part.